HomeHeadphone ComparisonsSennheiser HD25 vs. Momentum | INTENDED USE? Before we jump into the Sennheiser HD25 vs. Momentum, grab a snack, sit back and relax because..
To be honest, I would not bother with the old model, as it’s significantly more money for no reason. As I will mention in the review, most of the different models have the same sound, including the two mentioned above. So if you decide to go the HD25 route, purchase the new model. It’s the only one you need to worry about at this point. Max Sound Pressure Level: 120dB. What is SPL? Wow, where to start. Like the Sennheiser Momentum in a way, this headphone has gone through many different versions over the years. The difference with the Momentum is that it’s a fairly new can; the HD25 has been around in some form or fashion since 1987. The good news is that despite all of the different models, the sound quality and signature remains largely unchanged. The one exception is the HD 25-SP II. It does not have the traditional split headband of the other models, has a different driver, and is not recommended due to it’s poor sound. What is a headphone driver? So, what models should you be made aware of? HD 25 Professional (New model). HD 25 Light. Doesn’t have the double head-bands. HD 25 Plus. Comes with straight and coiled cable. I honestly don’t see why they can’t include that in the regular version, but whatever lol. HD 25-1 II – 70 Ohm impedance; 1.5 meter cable with right-angle miniplug. adidas Original – Like above, but with adidas color scheme. HD 25-II – 70 Ohm impedance with two meter cable and straight connector. These are no longer available. HD 25-C II – 70 Ohm impedance with three meter coiled cable and straight plug. HD 25-13 II – 600 Ohm impedance with three meter cable and straight connector. HD 25-SP II – The cheap version of the HD 25, no split headband; 85 Ohm impedance; different driver. This is the one that sounds different and is not recommended. Superior build quality. Nearly indestructible. This is pretty much unanimous. Comfortable when worn around the neck. Good for monitoring in loud environments. Sound isolation is exceptional. Soundstage is good, especially for a closed set. What is Soundstage? Balanced sound. Very articulate and detailed. Good bass extension. Tight and clean. The upper mid-range is a hare forward, and overall the mids go well together with the bass and treble. The mids are clean and detailed, with an articulate character. The sound is simply accurate. They won’t color the recordings in any way, but rather give you the song as it is. They also won’t hide a bad recording, so be prepared to hear an honest representation of whatever you’re listening to. The treble can become grainy at times. Right or left side may cut out inexplicably. The sound will improve with an amp, but it isn’t mandatory. How to choose a headphone amp! Some good interfaces. What does an audio interface do? They do not fold up, but are fairly small anyhow. You should feel comfortable tossing them in your knapsack. Sound plenty good straight out of your portable device. Amplification can help, but isn’t necessary. There’s a presence peak at around 8kHz, which is fairly common in most headphones. May become a tad bright/sibilant at times, but nothing outlandish. What does Sibilant mean? Made of a rugged, hard plastic that is not easily broken. The plug is L shaped. The comfort improves with time. Clamp force eases up with extended use. A little break in does wonders. There is enough bass on the HD 25 to where it never feels light. It’s very detailed and has impact. All parts are replaceable, which is something I’ve come to love about Sennheiser products. They are also customize-able as far as paint jobs go; you could hypothetically transform them into any color scheme you want. A quick google search will show you some ideas. The next time you turn on the TV, head on over to ESPN and take note of how many people are using this set. You’d be surprised at how popular they are. Likewise in DJ settings. Built like a tank. Can take a beating. Very sturdy. Overall sound is pretty exciting while still remaining true to the recording. Think detail and clarity. Should be your go to DJ headphones. Fit. The HD25’s are Supra-aural (On-ear) while the Momentums are Circumaural (Around the ear). Application. The HD25’s are more for various professional use, while the Momentum’s are catered towards the casual consumer looking for a fun and exciting sound. Impedance. The 70 Ohm impedance of the HD25 means they need more power to achieve higher sound levels. The 18 Ohm of the Momentum is pretty much ideal for portable devices. The HD25 likewise works well for those same devices, but will benefit more from amplification. What is Headphone Impedance? Weight. The HD25 is 140g vs. the 190g of the Momentum. Controls. The Momentum’s have inline controls while the HD25’s do not. Plug. The Momentum has a straight plug while the HD25 does not. Isolation. The HD25 has better sound isolation than the Momentum. Treble. The HD25 has more aggressive highs than the Momentum. Mids. Mid-range and low end are better on the Momentum. Swivel. The ear-cups on the HD25 swivel, while the Momentum’s do not. Signature. 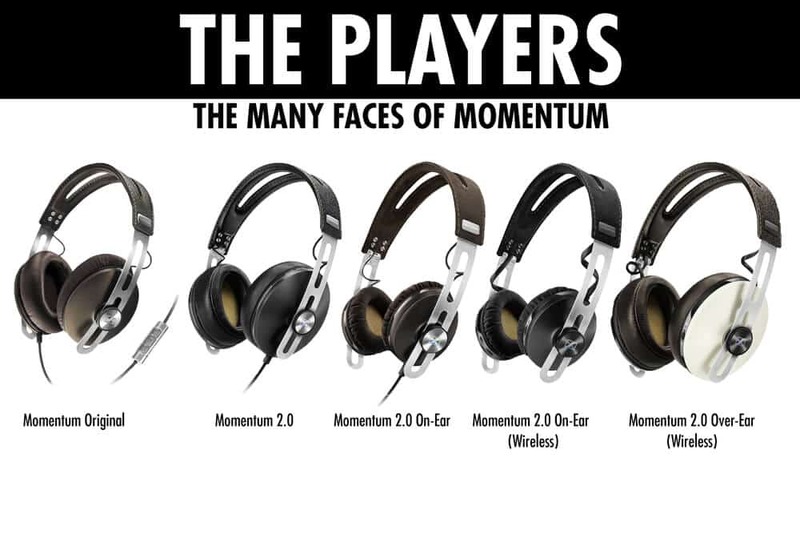 The Momentum is a smoother headphone, and more conducive to Jazz/lounge music. It’s the type of can you want to grab a scotch and lounge with. The HD25 is more lively by contrast. The bass is tighter, mids are more forward, and the highs reveal more and are a bit more aggressive. Comfort. The Momentum is more comfy over longer periods. Fun Factor. The Momentum 2.0 isn’t as fun sounding as the HD25. Material. The HD25’s earcups are made of pleather, while the Momentum’s are of genuine leather. Momentum 2.0 (upgraded, due to ear-cup complaint. There are models for both Apple and Samsung devices). Momentum 2.0 (wireless, over-ear version). Momentum 2.0 (wireless, on-ear version). What you decide here is really dependent on taste. Are you looking for a DJ headphone that does phenomenally well in studio? The HD25 is for you. It’s honest and neutral, but still snappy and lively. Kind of a jack of all trades can. If you dig a more laid back vibe, the Momentum’s are your boy. They are still a fun can, but less so than the HD25. SEE THE MOMENTUM FOR YOURSELF ON AMAZON!! Well that’s about it for today my friend! 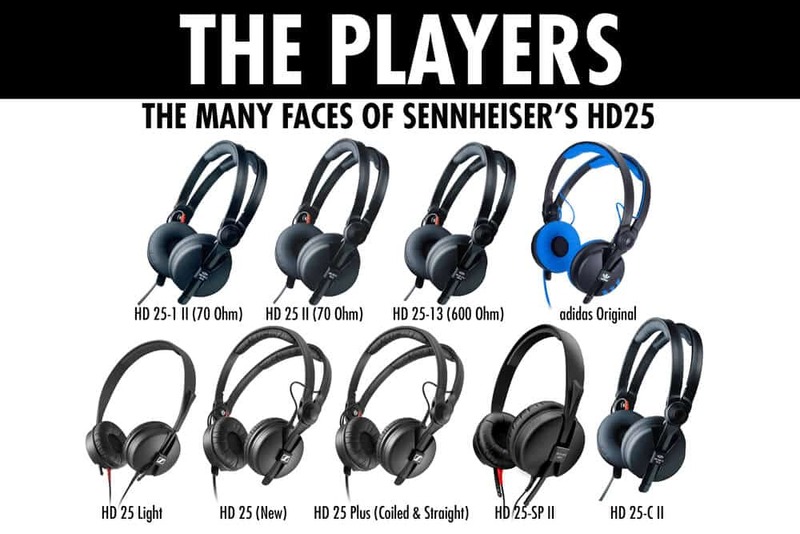 I hope you’ve enjoyed this article on the Sennheiser HD25 vs. Momentum. V Moda M100 vs. LP2 | NO BRAINER! !